HorrorAddicts.net presents thirteen horror tales from up-and-coming women writers. This diverse collection of revenge, torture, and macabre is sure to quench any horror addict’s thirst for blood. Between these covers reside werewolves, demons, ghosts, vampires, a voodoo priestess, headless horseman, Bloody Mary, and human monsters that are perhaps the most disturbing. 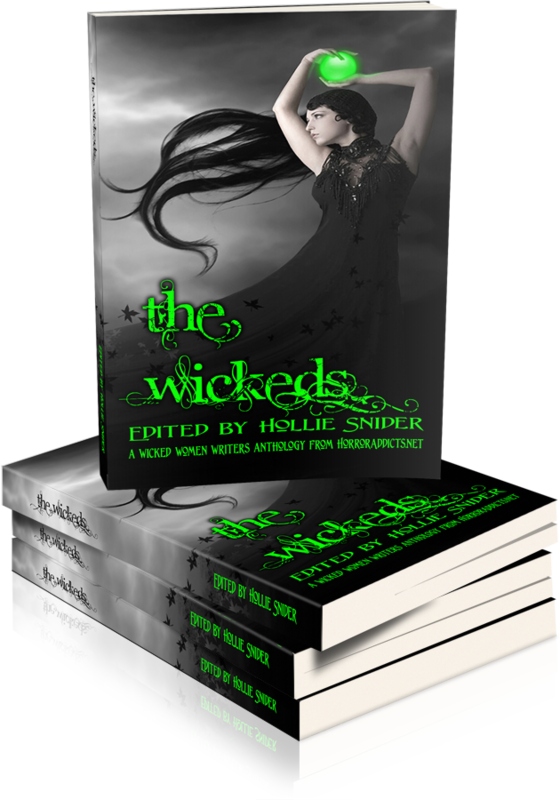 With an exclusive interview of The Wickeds by Sapphire Neal. Lock your doors, bar your windows, and enjoy stories from: H. E. Roulo Jeri Unselt Linda Ciletti Emerian Rich Marie Green Hollie Snider Jennifer Rahn Michele Roger R. E. Chambliss Arlene Radasky Kimberly Steele Laurel Anne Hill Rhonda R. Carpenter. All proceeds will be donated to LitWorld, a non-profit organization that uses the power of story to cultivate literacy leaders around the globe.